Just "Wait" Til You See How Maroon 5 Filmed Their Latest Music Video! The music video for “Wait” was shot in a totally unique way -- using different Snapchat filters by Adam Levine himself, using the front-facing camera on his phone and going through many different filters while singing along to the song... Almost like a longform musical.ly! He didn’t even need a set for this music video! He filmed it right at his house, with his Victoria's Secret Model wife, Behati Prinsloo making a few special guest appearances! Even their dog decided to make a cameo as well. Walking around his house filming in different locations, one seems to be something like a ball pit! Probably just a play pen for his 1-year-old daughter, but it sure looks like fun! This music video was not the first time the band decided to use Snapchat filters for their creative endeavors! 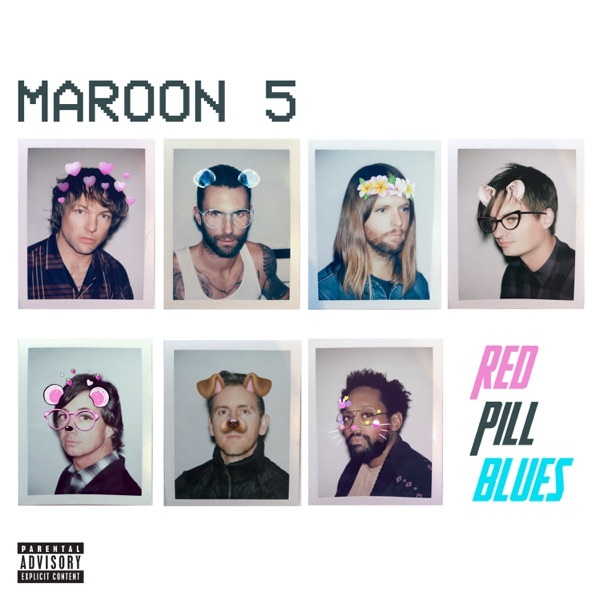 Late last year, when their album Red Pill Blues dropped, the cover art featured the band with different Snapchat filters applied to their faces. 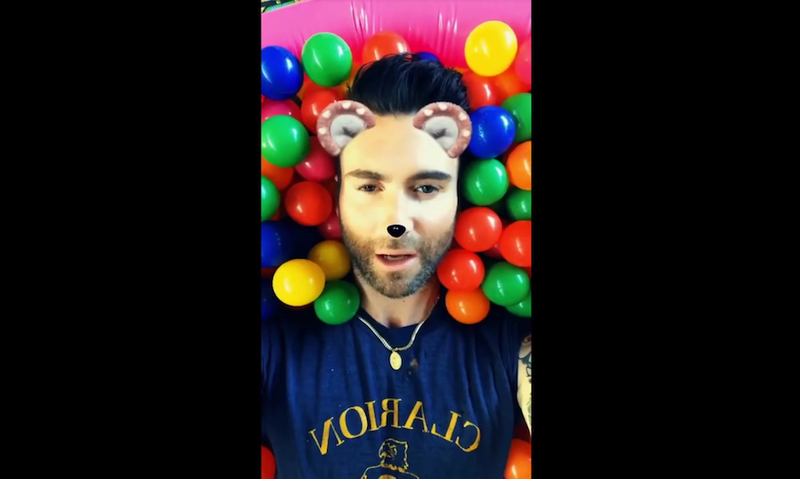 During that time, Levine told Billboard just why they decided to use Snapchat filters as cover art, stating, “We all use Snapchat, and the filters have become a huge part of the culture.” This sure is true! So many people go on Snapchat and use the filters daily, and it’s great to know we can relate to a band like Maroon 5!